Mount Apo is the highest, dormant but active Philippine volcano and is considered a must-see Philippine tourist destination amongst climbers. It is located in the island of Mindanao and is overlooking three major philippine cities , which are, Davao City , Digos City , and Kidapawan City. It is a flat-topped volcano with three peaks and a wide crater containing a small crater lake. The Philippine volcano's name, Apo, means "chief" or "grandfather" in the lumad's tongue. The volcano is also a source of geothermal power for the neighboring cities. Although it is still very much active, no record of its eruptions can be found and verified. 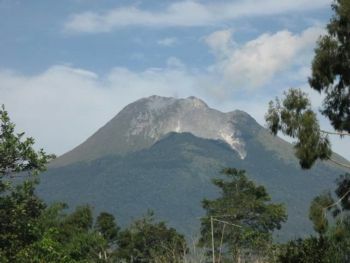 To learn more about Mount Apo, please click here.